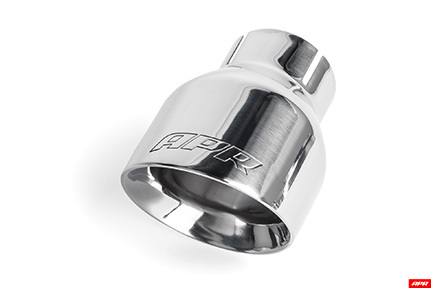 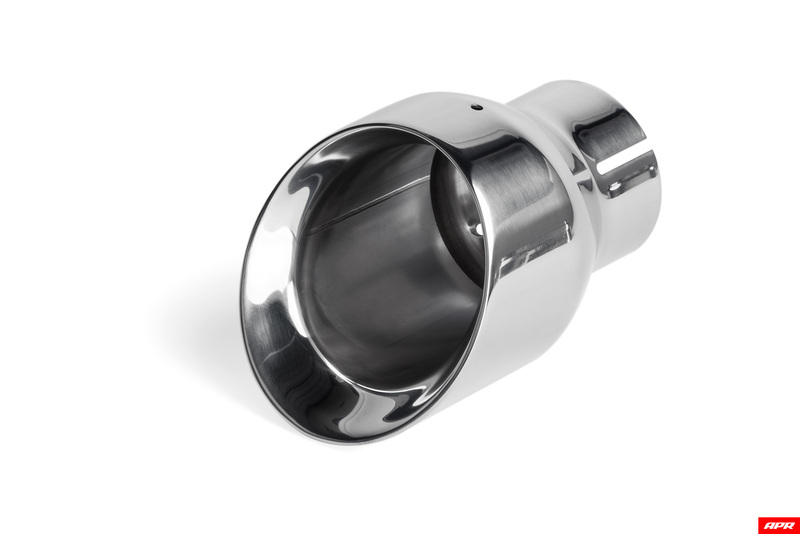 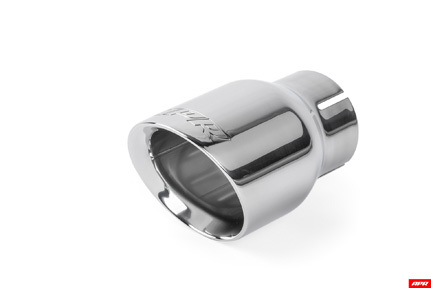 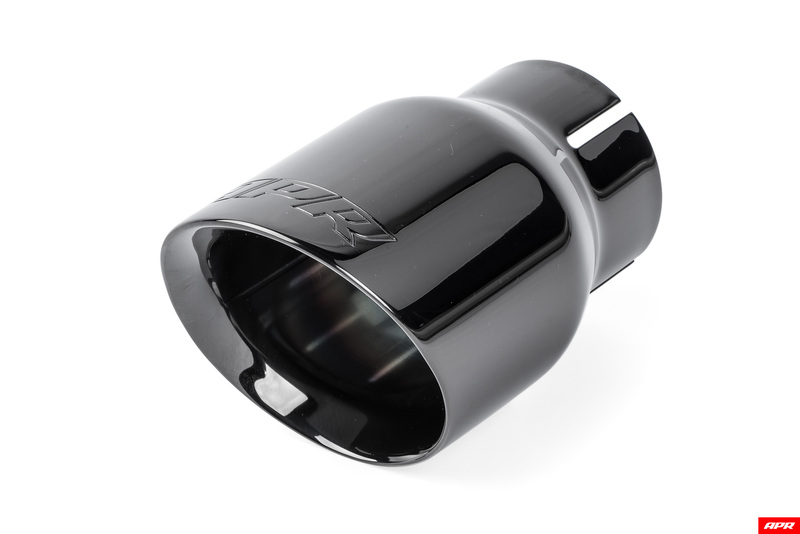 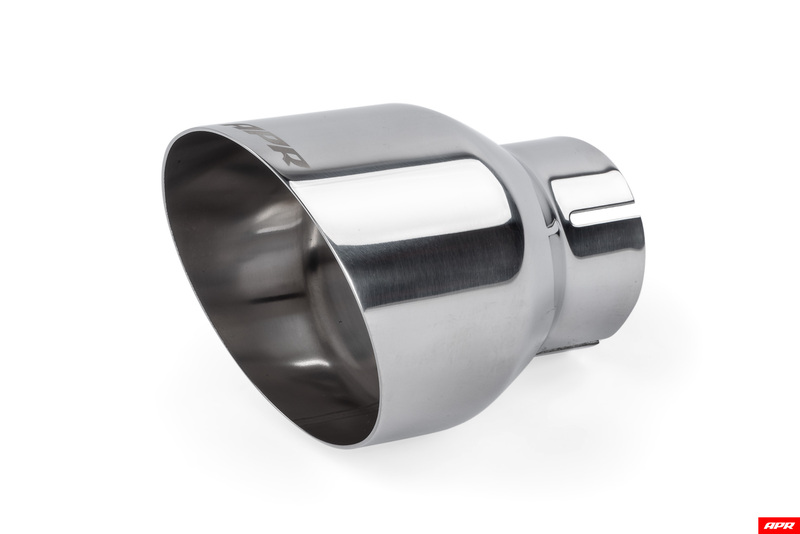 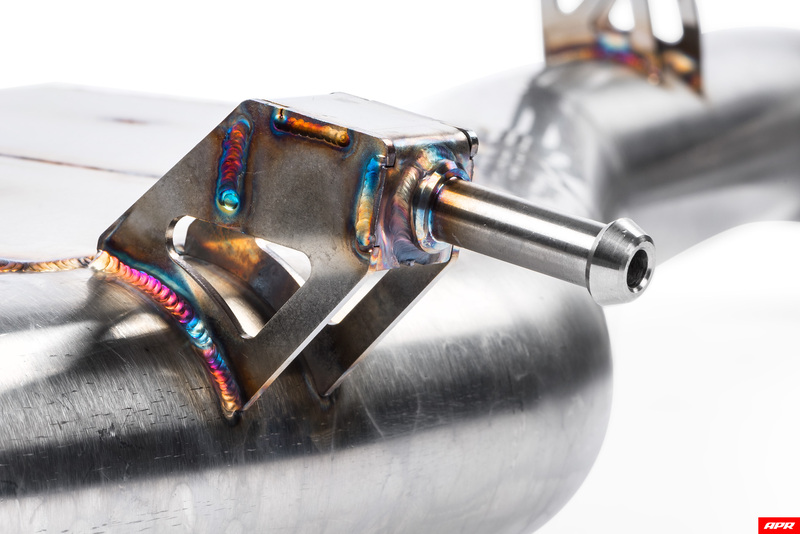 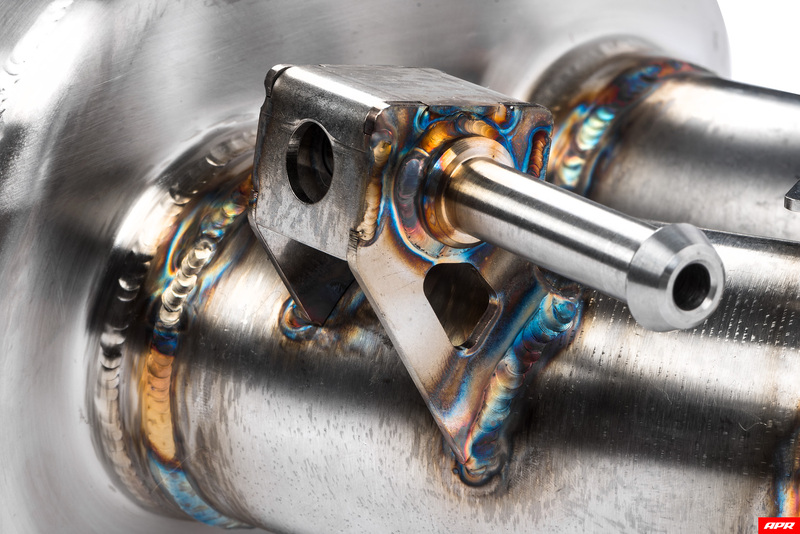 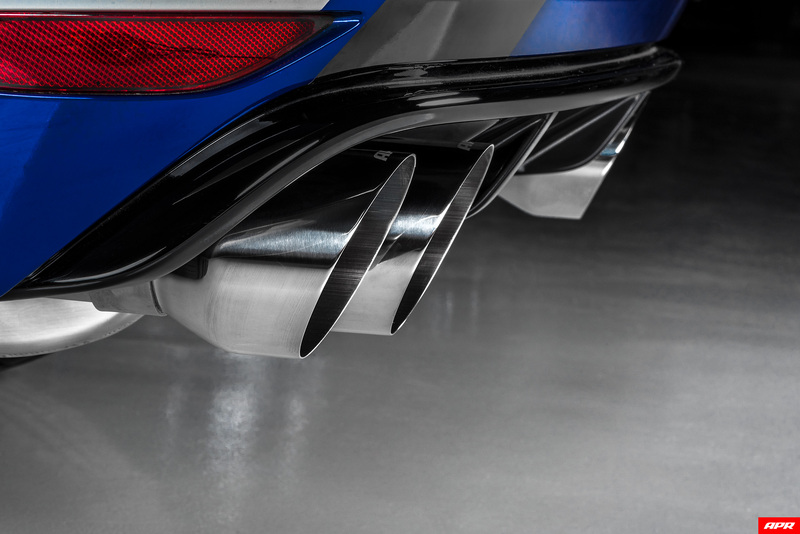 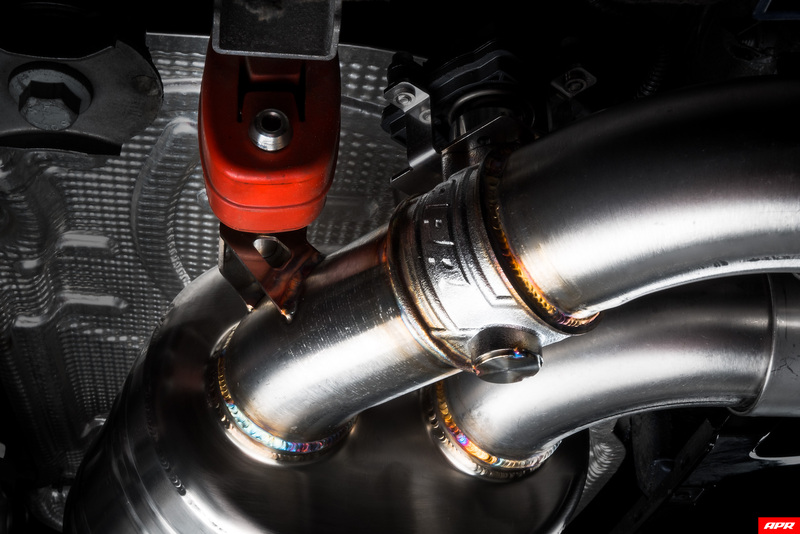 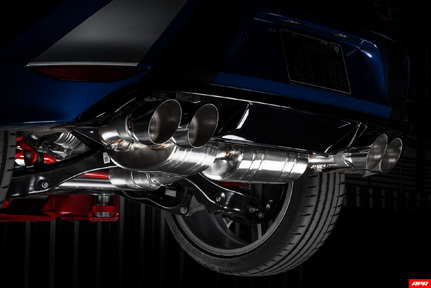 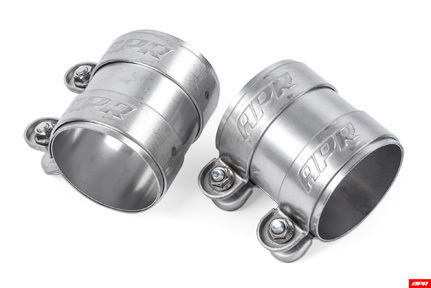 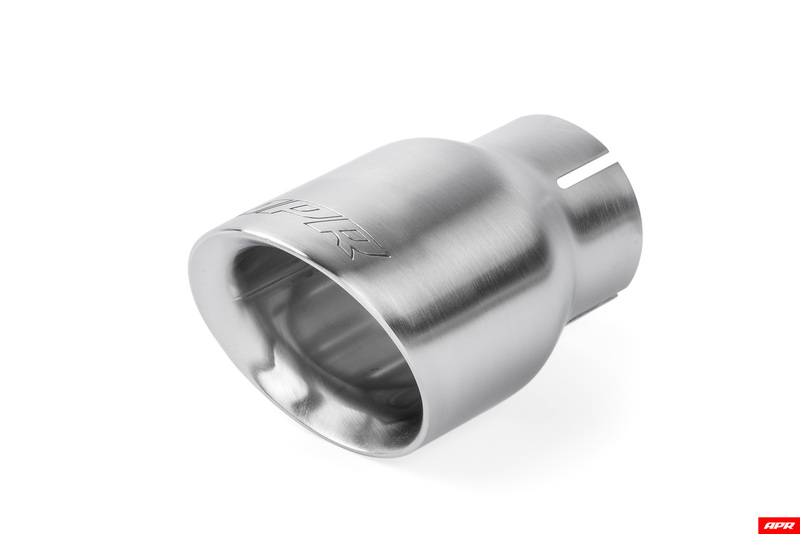 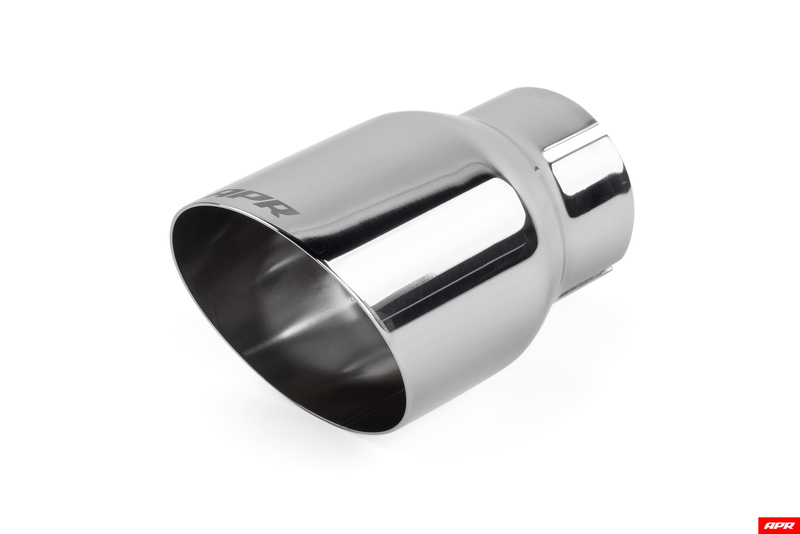 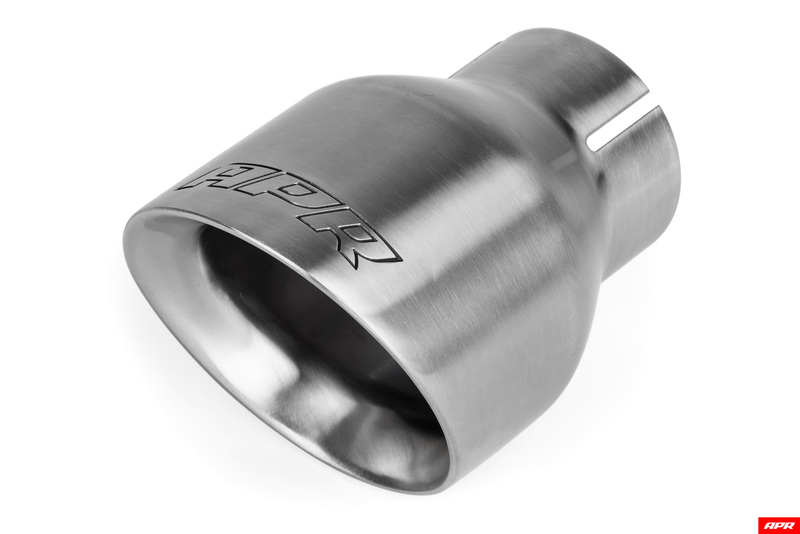 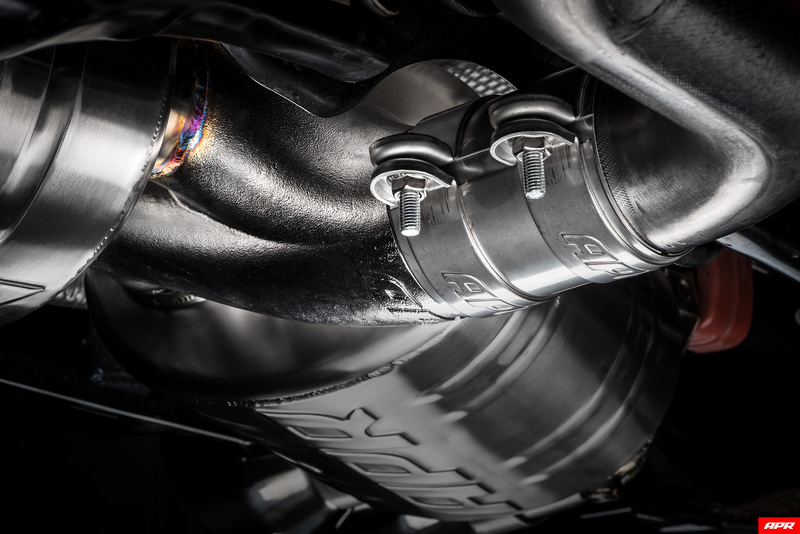 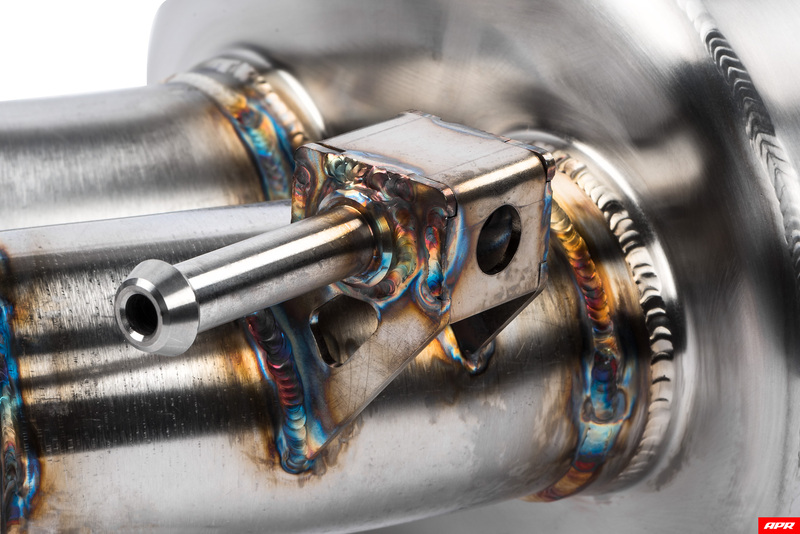 Our system uses OEM-style low-profile slip clamps and T304 stainless-steel Torca AccuSeal clamps for the exhaust tips. 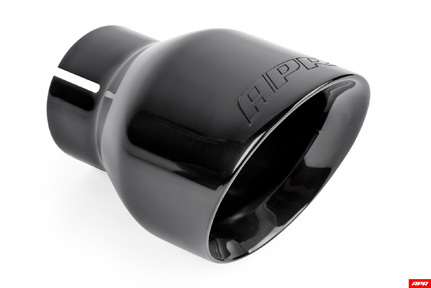 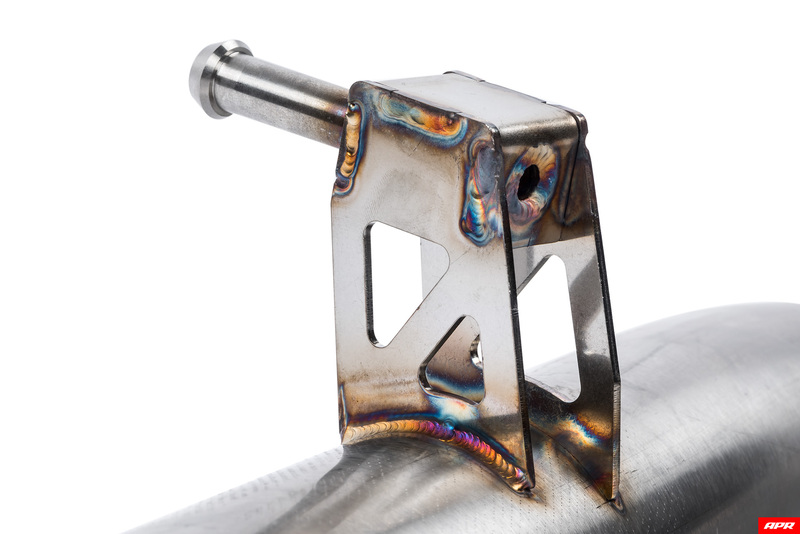 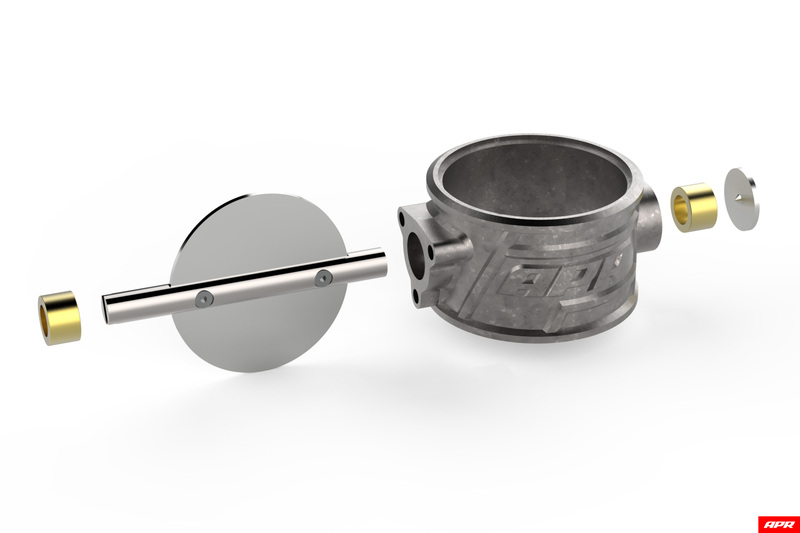 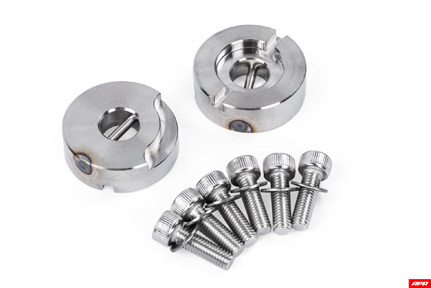 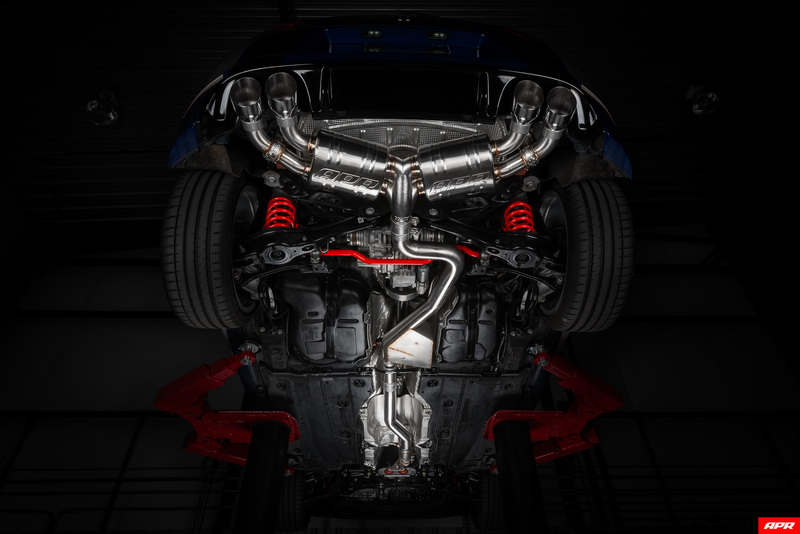 Our clamp selection allows the system to sit high in the exhaust tunnel, as is favored by lowered vehicles, with ultimate compatibility no matter what downpipe you may have. 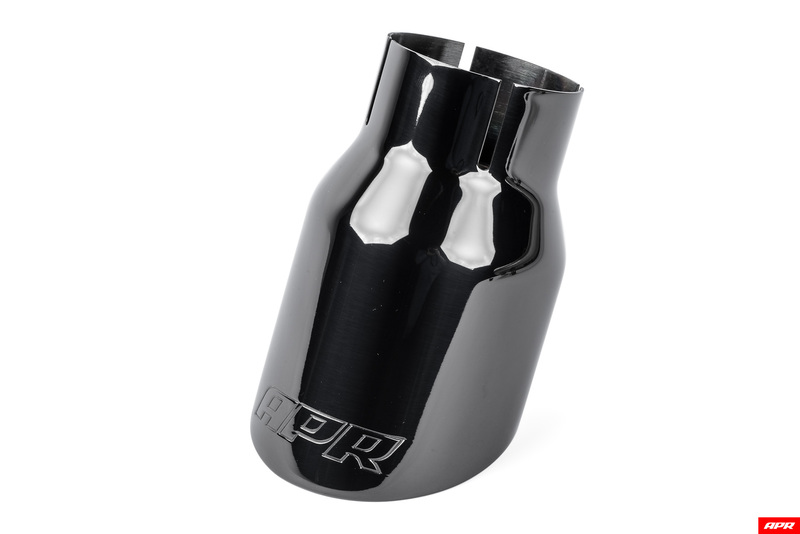 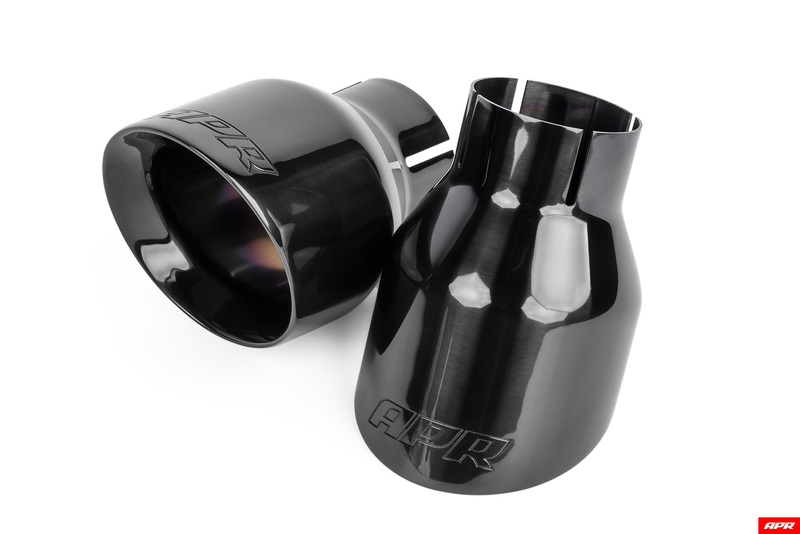 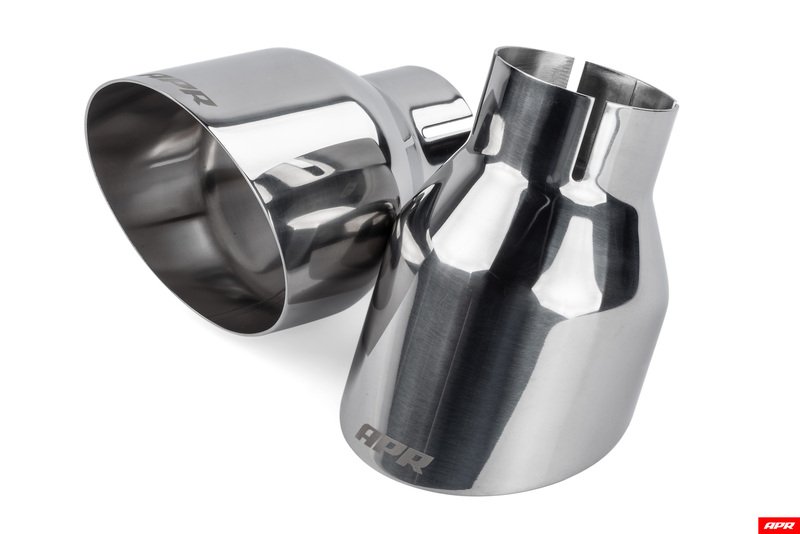 The clamps make for easy swapping of the exhaust tips, and slide out of the way to make adding or removing a downpipe easy. 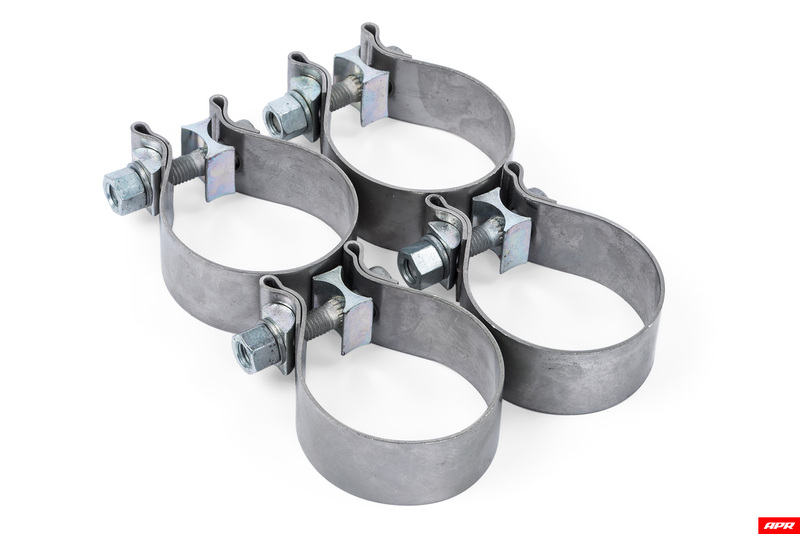 Each connection point is strategically placed to ensure the system has minimal opportunity to rotate during install or during years of heavy driving. 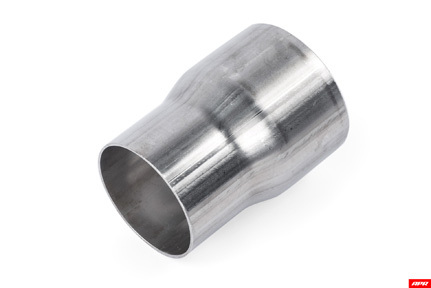 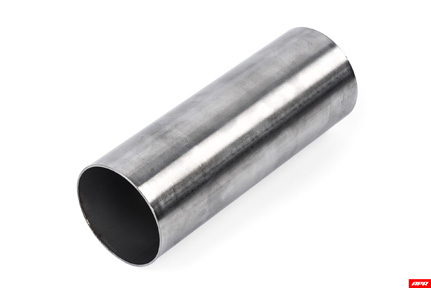 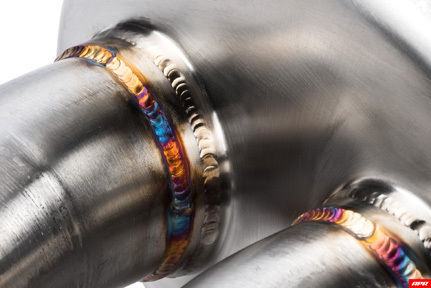 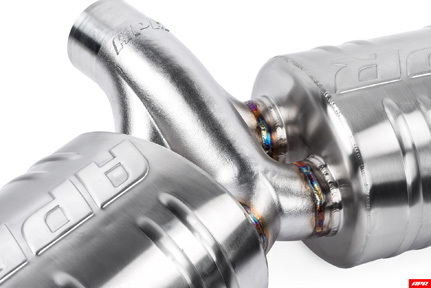 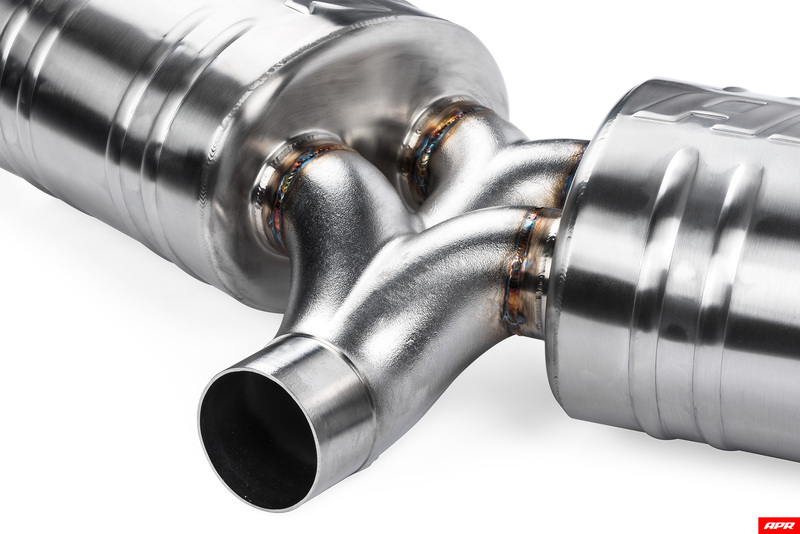 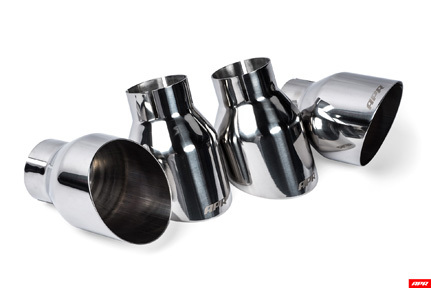 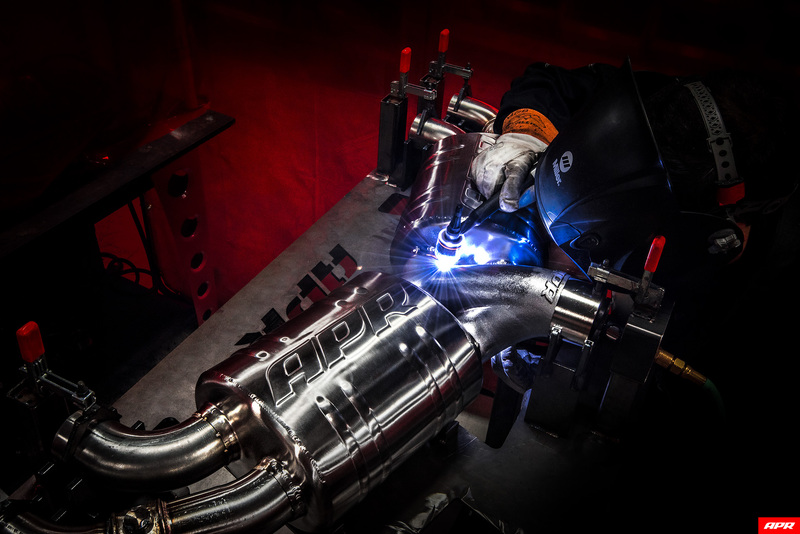 Finally, because there are no flanges or swedges on the pipe, fitting the system to the factory downpipe, APR downpipe, or other downpipes is a breeze. There’s no cutting, welding, or glaring compatibility issues, and there are no gaskets to replace. 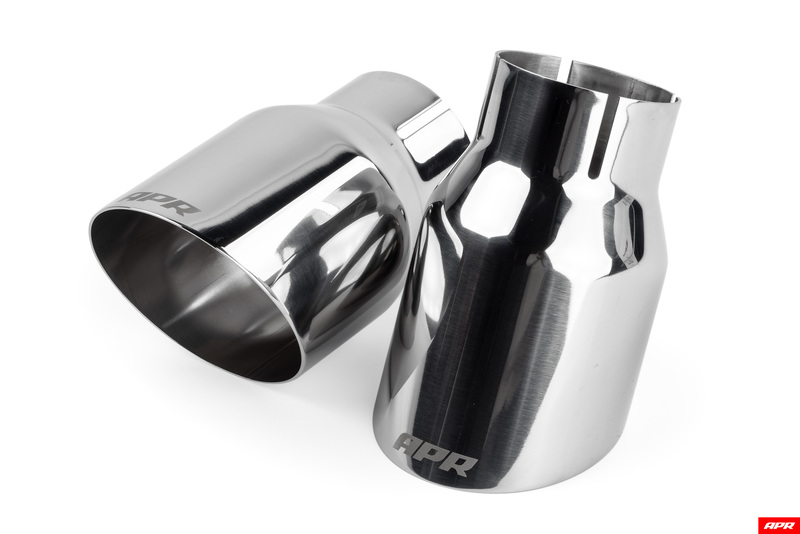 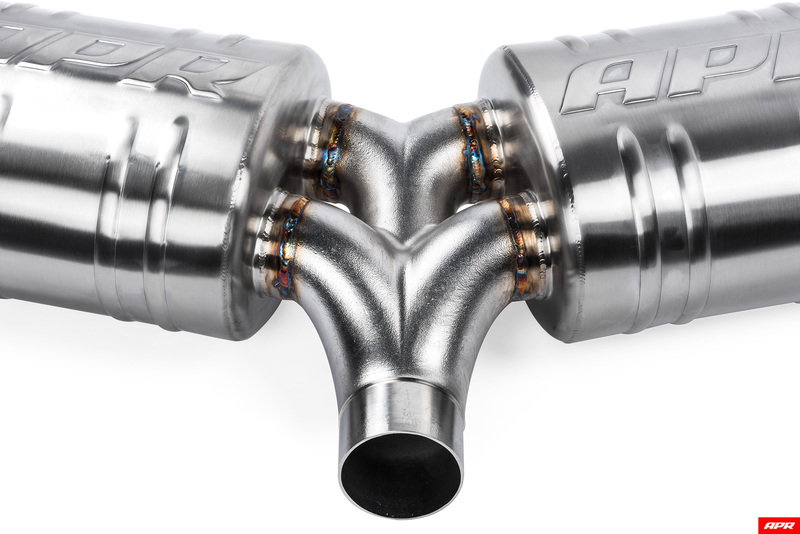 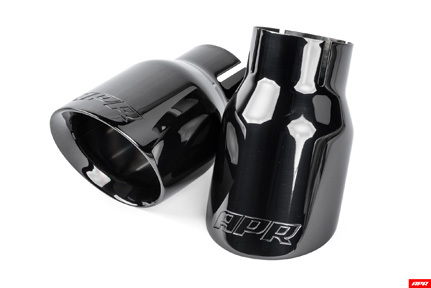 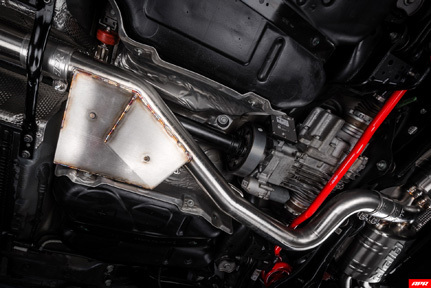 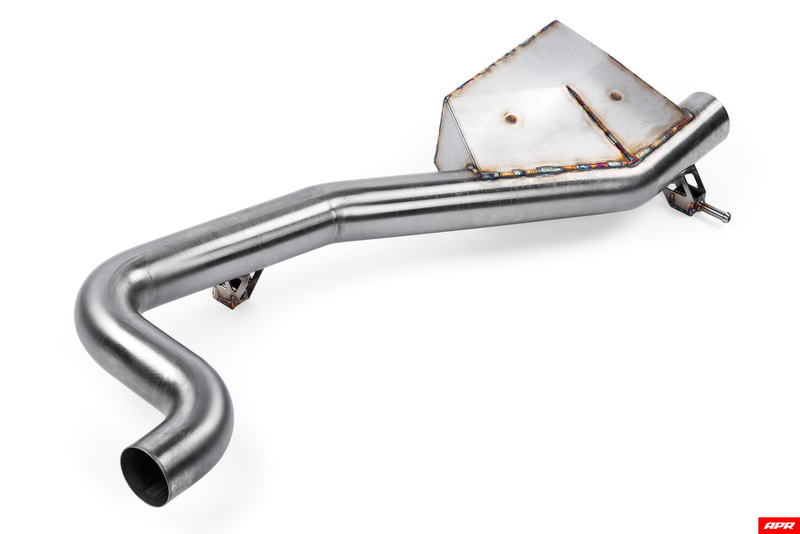 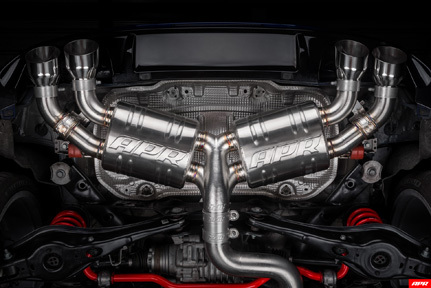 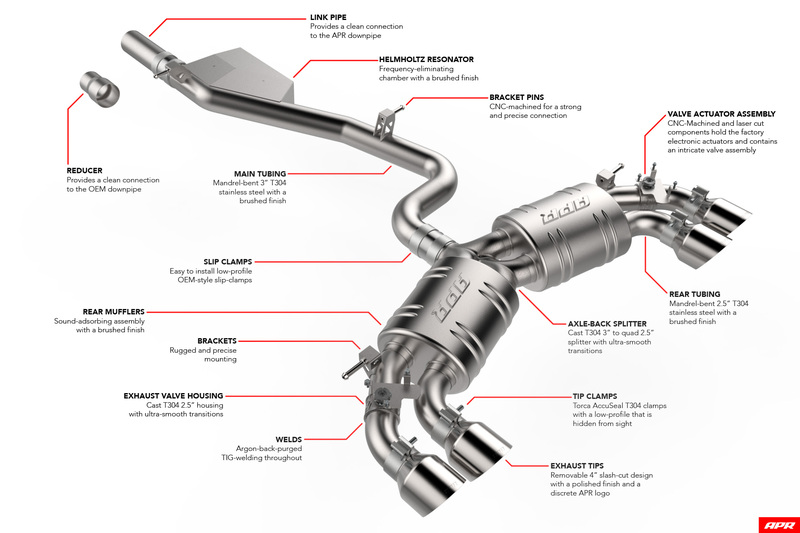 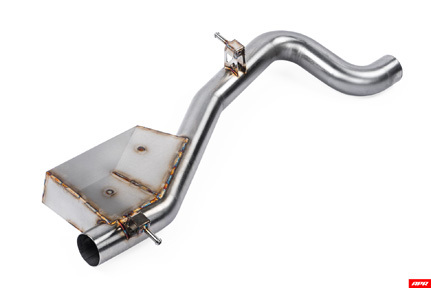 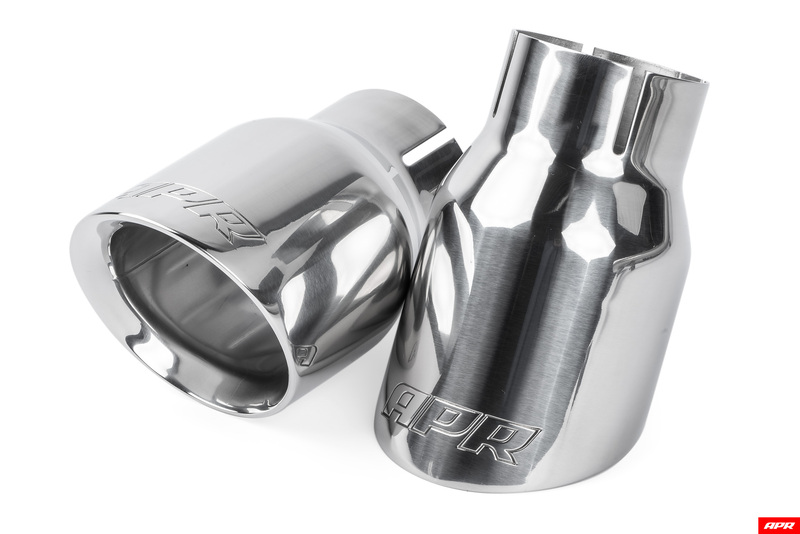 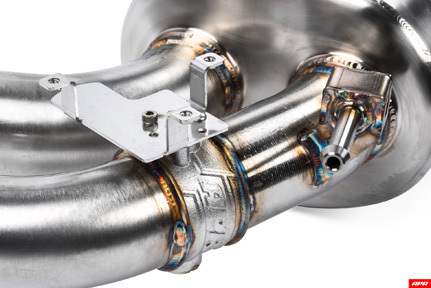 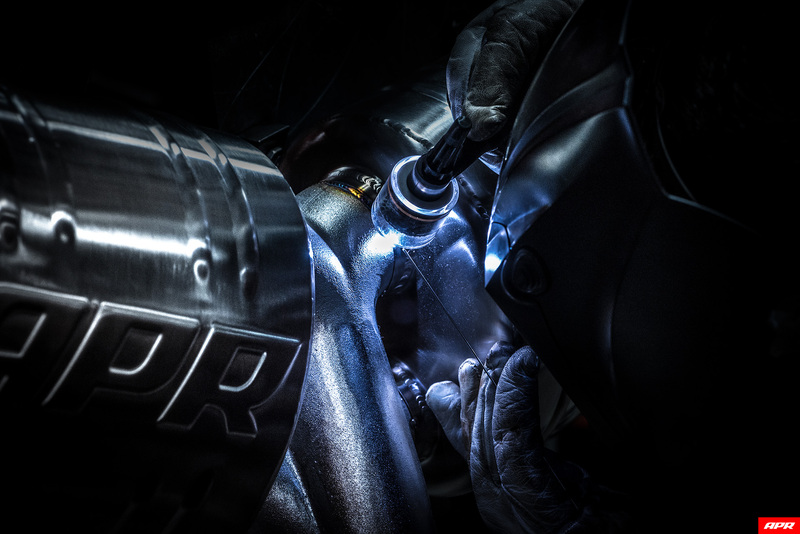 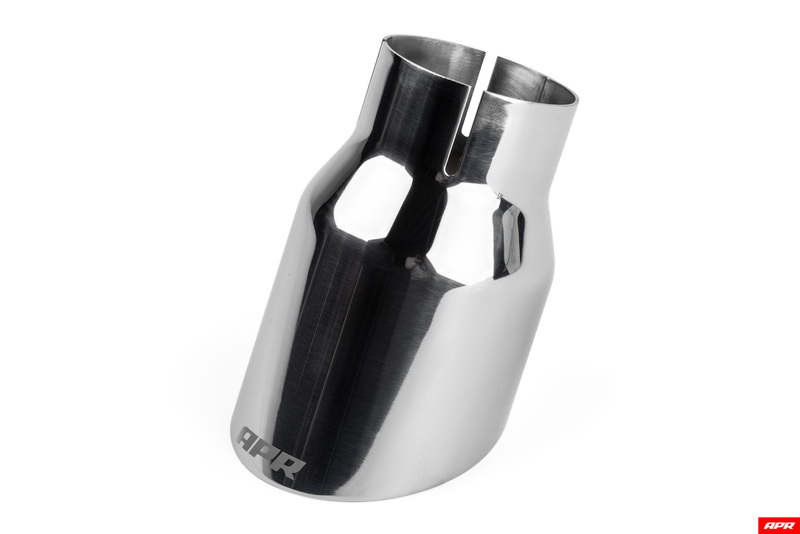 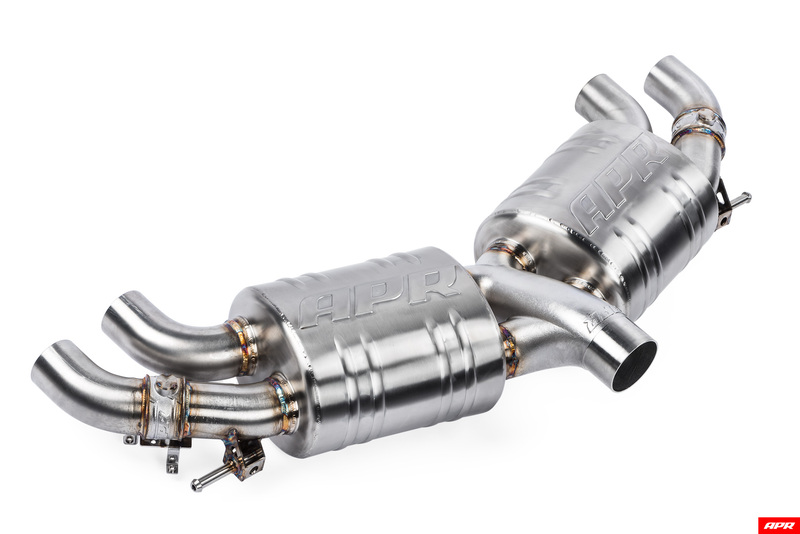 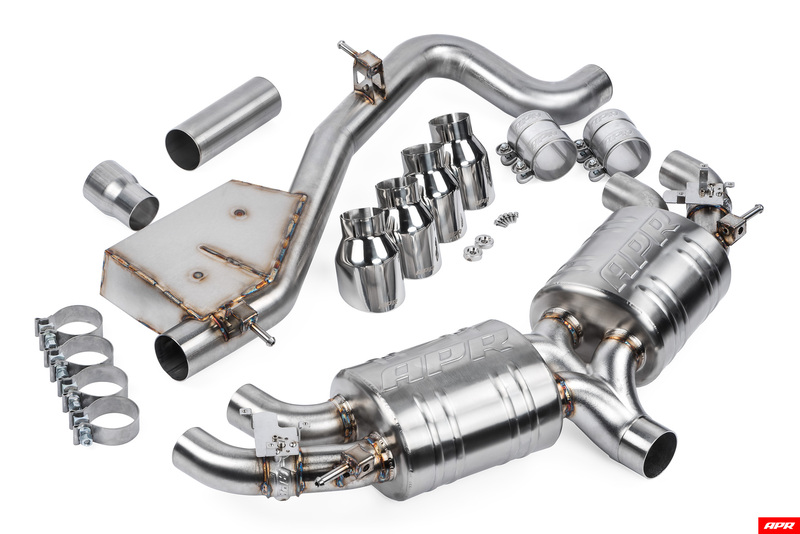 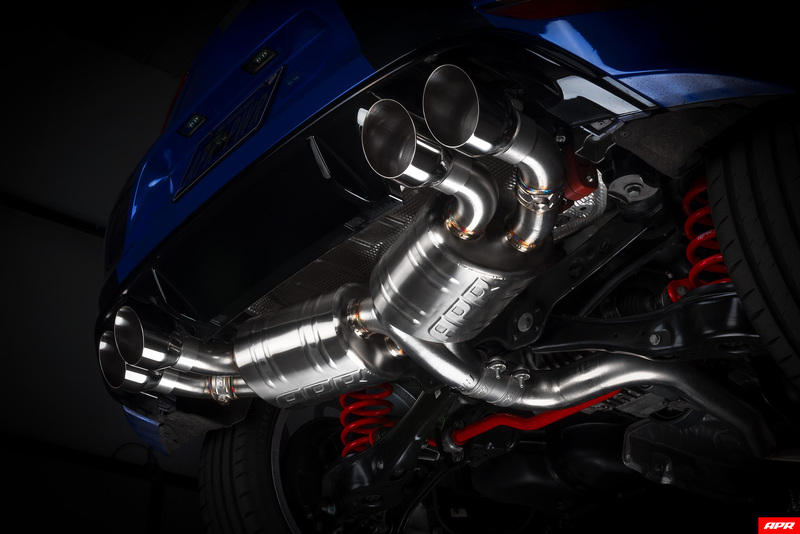 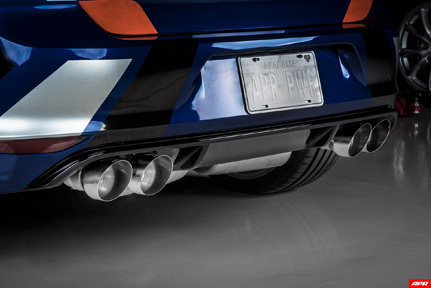 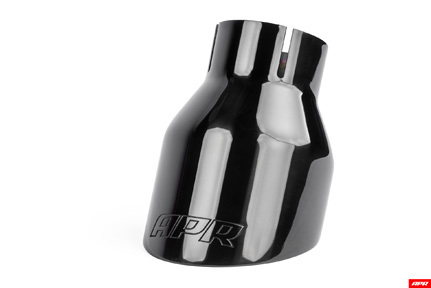 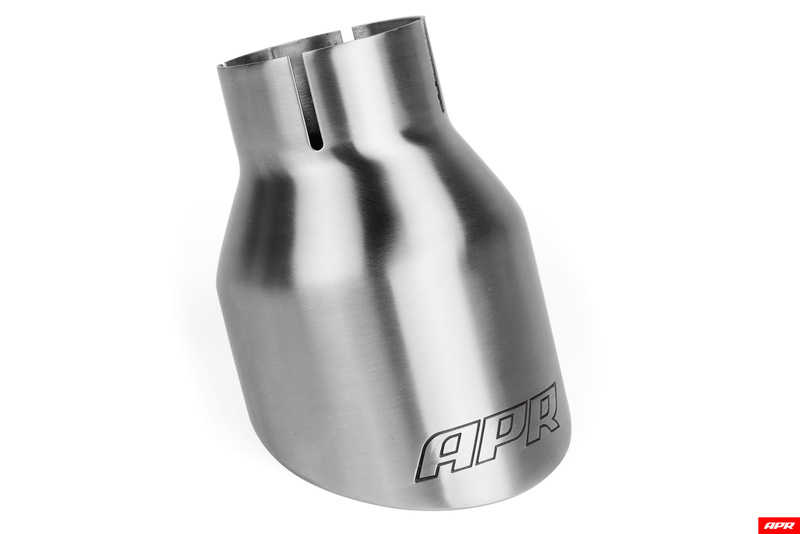 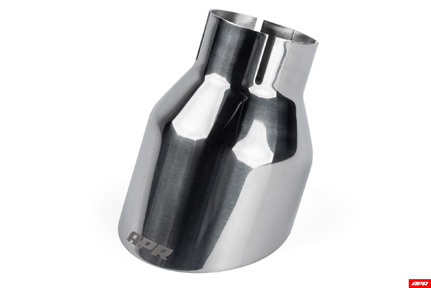 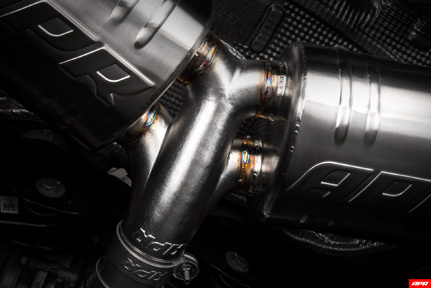 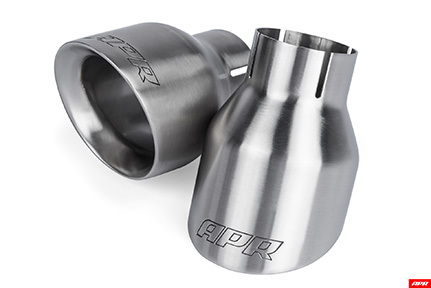 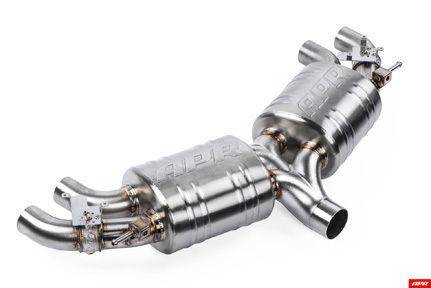 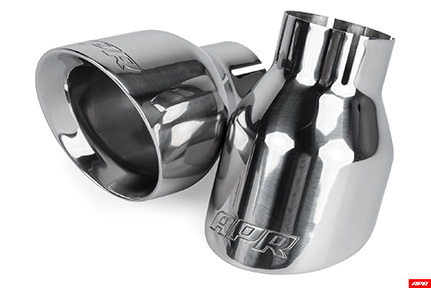 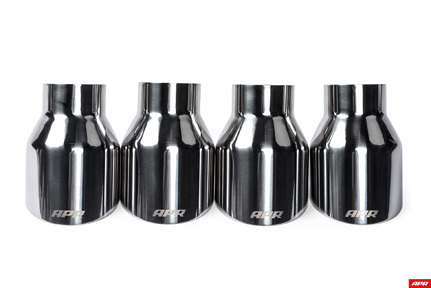 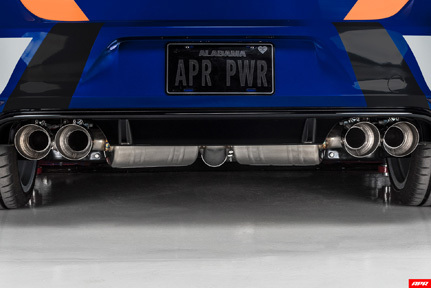 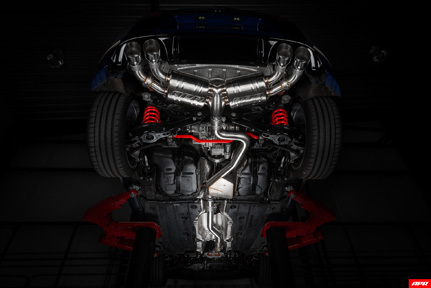 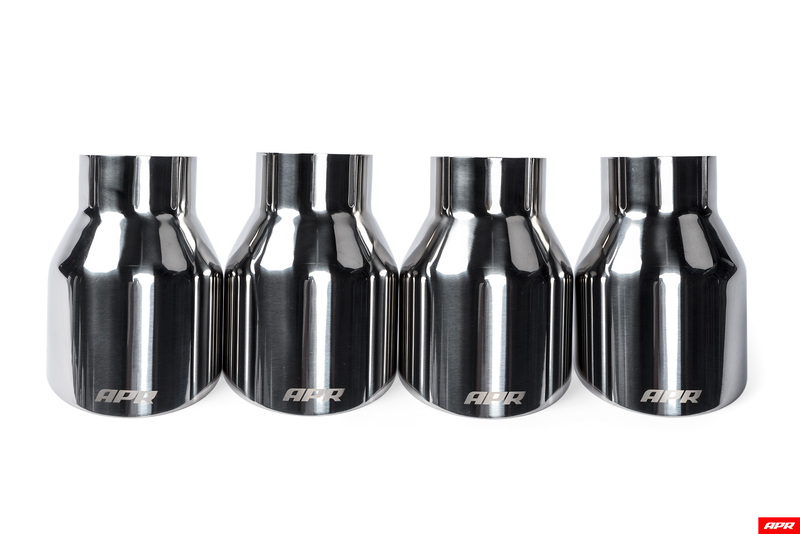 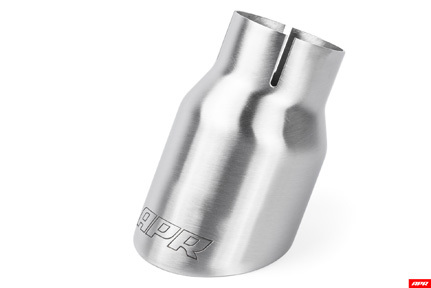 We’ve designed our system to be 100% bolt-on with the factory exhaust downpipe and APR downpipe. 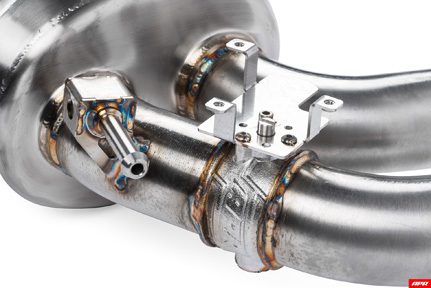 There’s no cutting, welding, or finagling to get the system to fit. 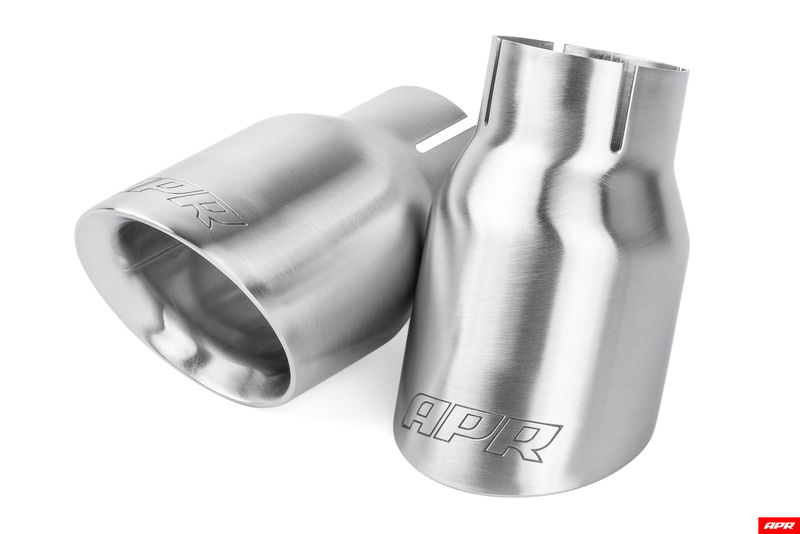 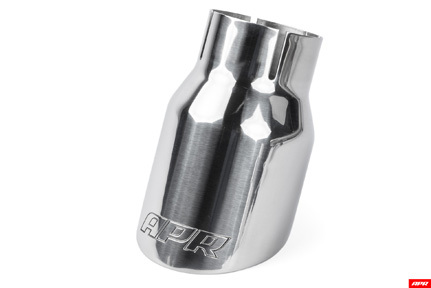 It simply bolts on thanks to the included reducer for use with the factory downpipe, and link pipe for use with the APR downpipe.